I took a leave of absence from Olin and transferred to the University of Southern California for the 2012 Fall Semester. Why did I transfer? I was curious to compare a traditional engineering curriculum to Olin's, and I wanted to experience typical college student life at a large university. Olin is a very, very small college. It is not easy to get to the closest town in the middle of winter using the Babson campus shuttle. I felt like I was living on an island, and was missing my California sunshine. 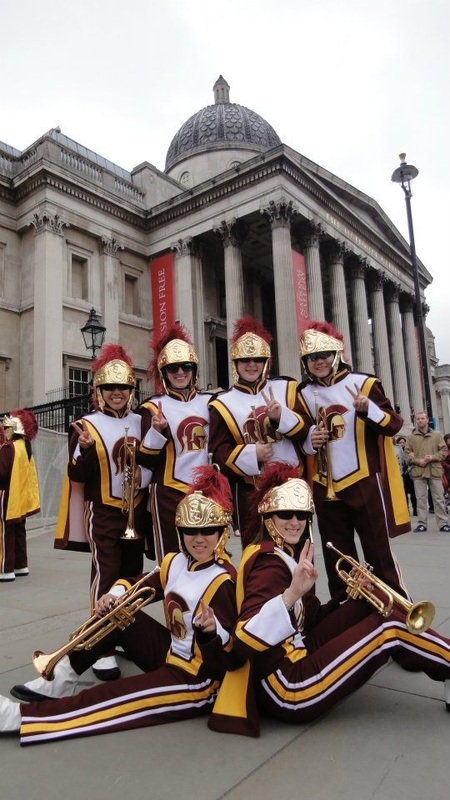 At the end of my Summer 2011 research with the Intelligent Vehicles Lab at Olin College, I packed my bags, had a week of relaxation at home, and then on August 14th, embarked on a journey to join the "greatest band in the universe," USC's Trojan Marching Band. That's right, I joined the Spirit of Troy! 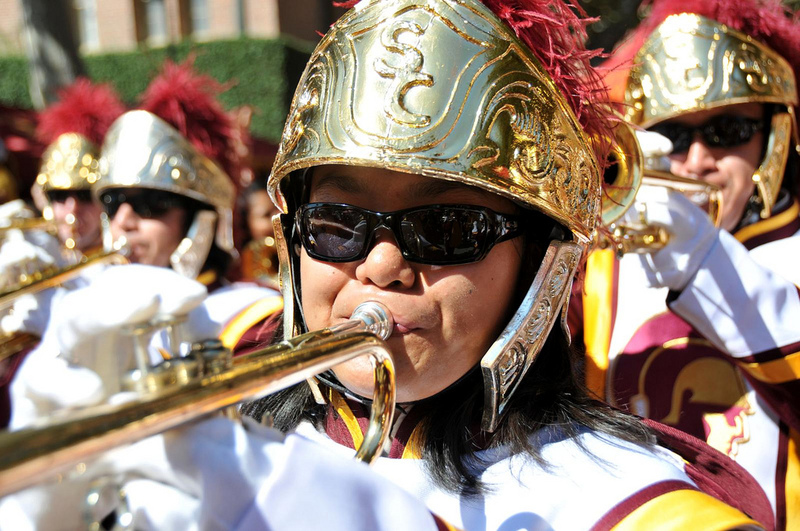 Football season at USC was totally different from what I experienced at San Marino H.S. At the college level, the fans for both teams roared with excitement, drunks roamed free, there was a new show to learn for each home game, and for once, everyone loved the band! Oh, and we stood during the entire game, in addition to the pregame and postgame shows. The band members really put in a lot of effort, from our three times a week, two-hour long practices in the blazing afternoon heat and our 6:30 am practices on Saturday mornings. These could last for up to four hours. The home games easily took up 8-10 hours of our time. Trumpet chicks at Trafalgar Square (I'm at top right) The Trojan Marching Band traveled to London and had three performances around the city over the course of one week. 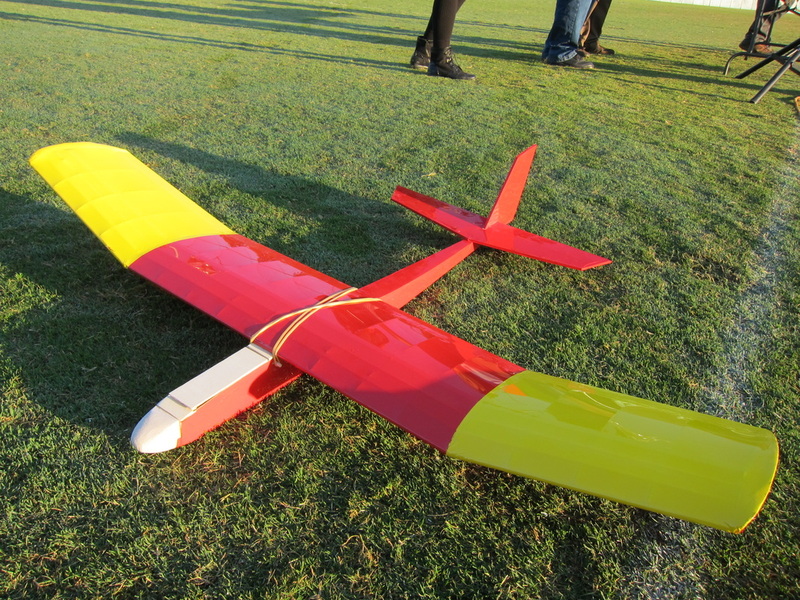 I joined the USC Robotics Society- Underwater Robotics Team and worked on the dynamic flotation system. The team was small, about 20 members. I was given the task of designing the flotation system that used blood pressure cuffs and some home-made syntactic foam made out of epoxy and 3M glass bubbles. Since it was fairly early in the school year I never got to test the design (the AUVSI RoboSub competition is every June). However the team decided to go with using air canisters on the side to provide flotation. The research paper they submitted can be seen at this link or downloaded here. Really that should read as a "group" project, after all I went through at Olin. Project goal: Derive the drag coefficient of a glider through field testing and present final student deliverable of calculations proving this. I enjoyed my semester at USC. I learned some life-skills and made friendships that will last a lifetime. Overall, I was unimpressed with the traditional engineering curriculum and was suprised to discover that Olin's "do-learn" education methods are much more my style.